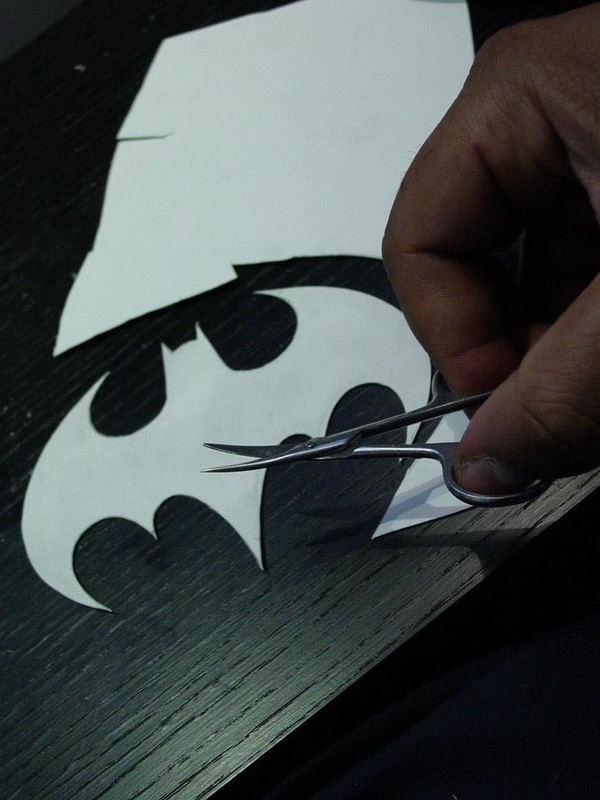 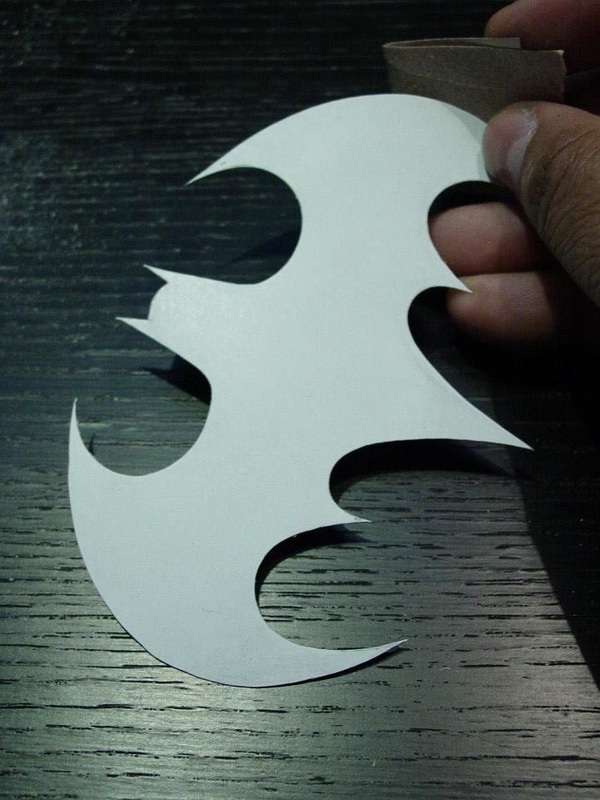 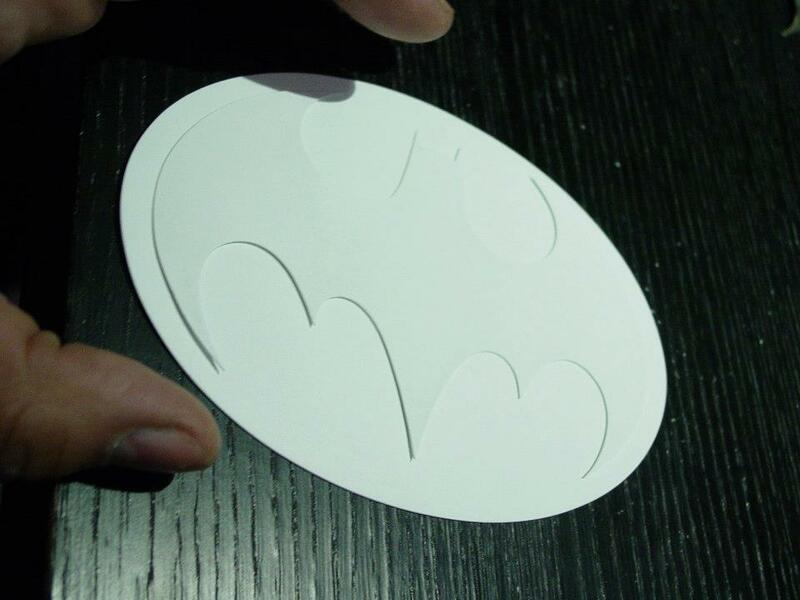 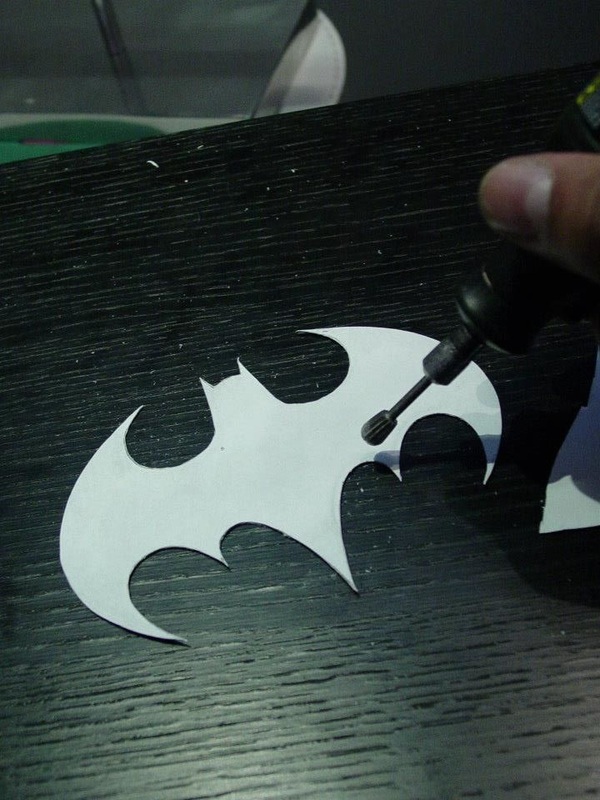 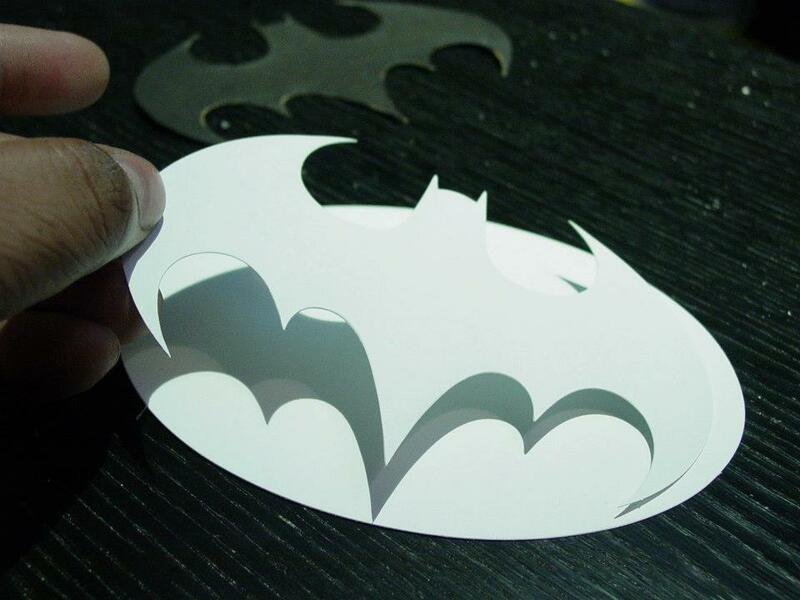 After designing The Batman's chest emblem shield digitally in Adobe Photoshop, Costume Designer Roberto Williams transferred the image onto thin sheets of white styrene plastic and hand cut them out. 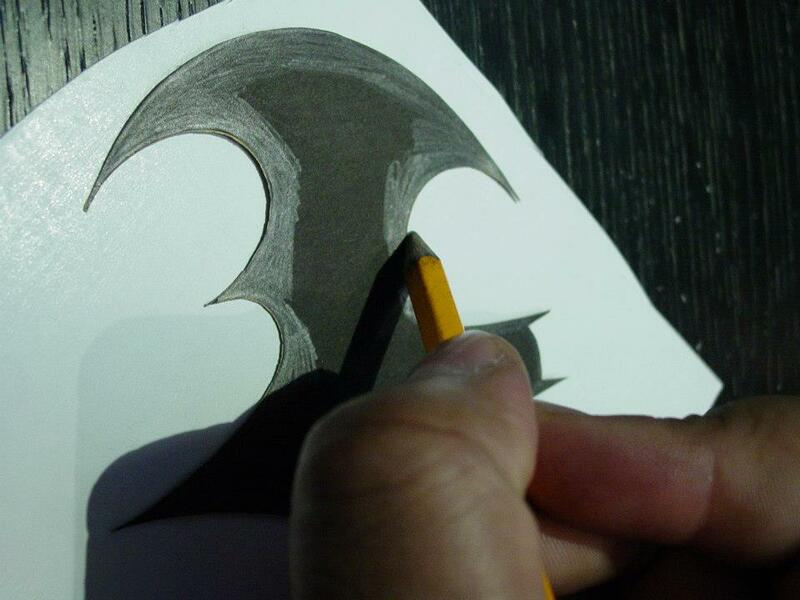 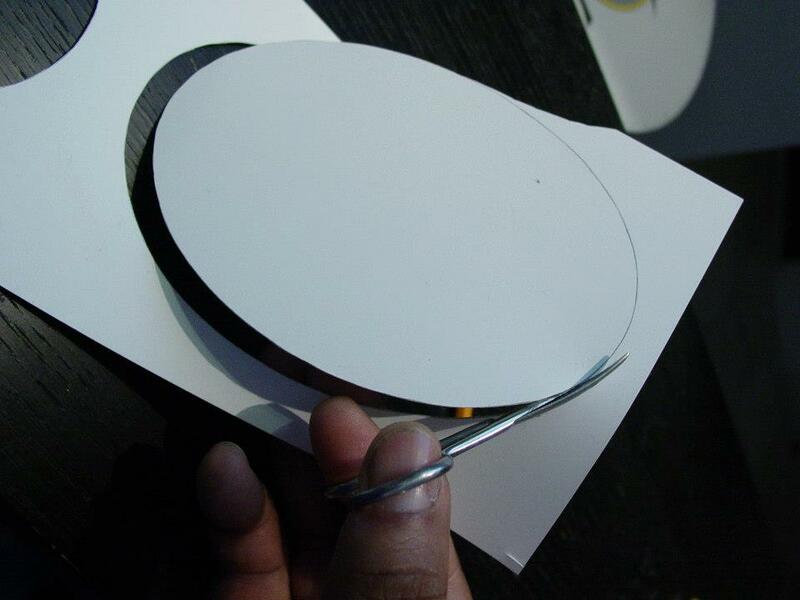 The roughly cut emblem shapes required fine edge smoothing and sand paper shaping. 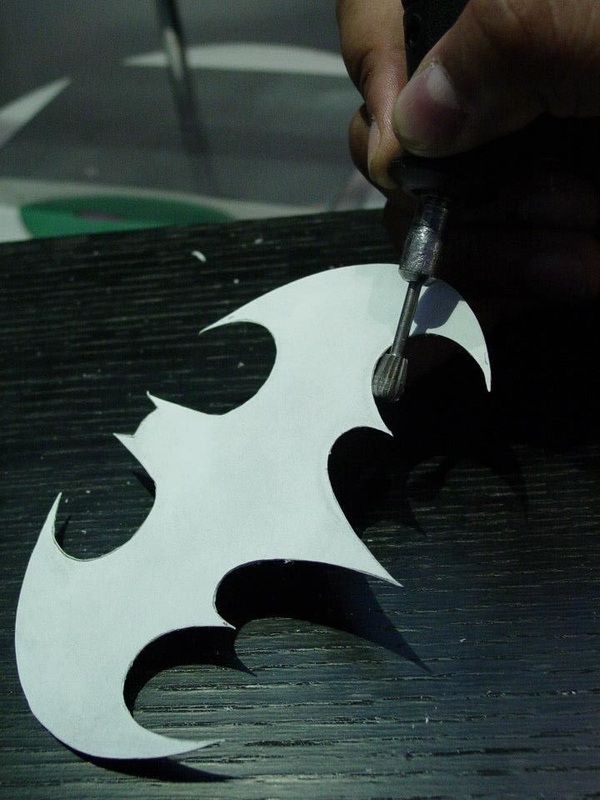 The finished and smoothed oval and bat shape were test fit together prior to painting. 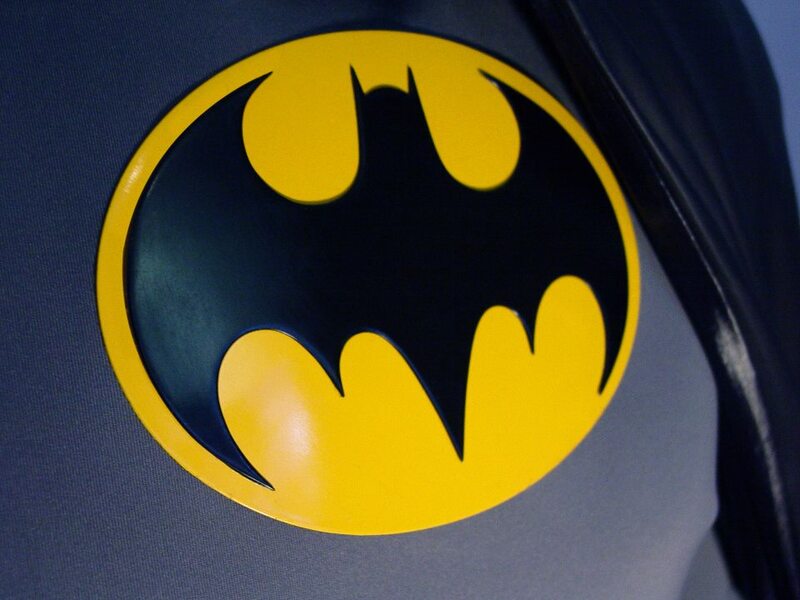 The Batman's Chest Emblem Shield. 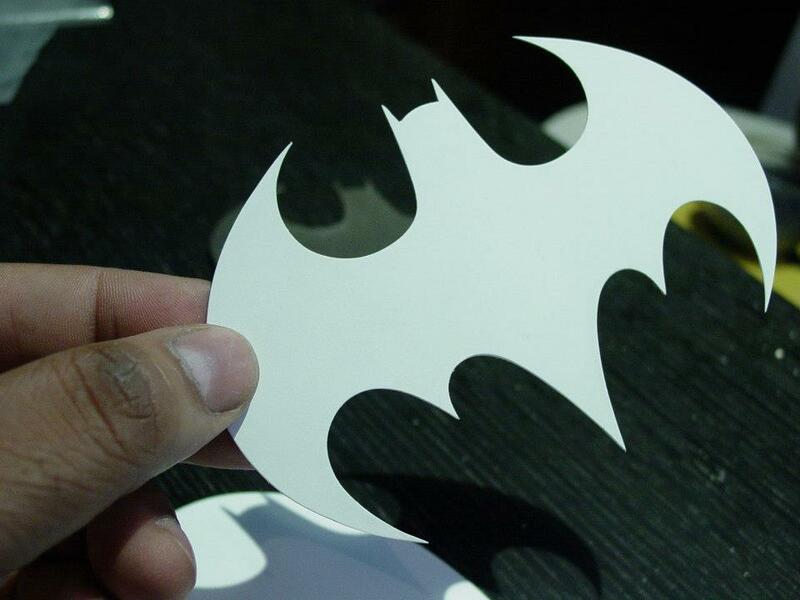 Final costume detail designed and fabricated by Roberto Williams.